Hi, I'm Brad Alexander, founder of Badass Young Men. Badass Young Men helps guys who are in a long term relationship and want to turn it into the real deal. 1. How to develop your masculinity and make the emotional shift from boy to man. Developing your masculinity in a broad range of areas makes you a more well rounded, grounded and mature person - the type of man who is desirable and ready for a serious relationship and ultimately marriage. 2. 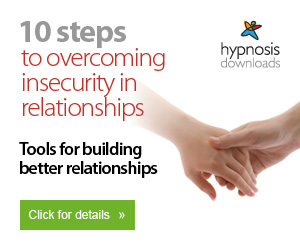 How to develop your relationship skills and learn the complex art of loving a special woman. Learning how to be in a relationship is just like learning any other skill. But it doesn't just happen, it requires attention development, practice, patience and even failure. 3. How to overcome your insecurities and release your baggage. Everyone has insecurities and baggage to a degree but I will show you how to deal with these so they don't become roadblocks that prevent you from experiencing a great relationship. Go straight to the articles that apply to you based on your relationship status. Alternatively, check out the articles on manliness. They apply to everyone. Download this ebook to learn how to be the type of man who succeeds in a long term relationship. The number one resource recommended by Badass Young Men to help you become a better man and be a better partner by overcoming your insecurity. I write about manliness, relationship skills and overcoming your insecurities, drawing on both research and personal experience. I don't claim to have all the answers but I'd love to share what my experience has been so far. I publish new articles 1-2 times per month. A lot of men focus very hard on trying to figure out what women look for in a man. The assumption then is, that if you know what they want, you can then just provide it to them and voila, you have women on tap.